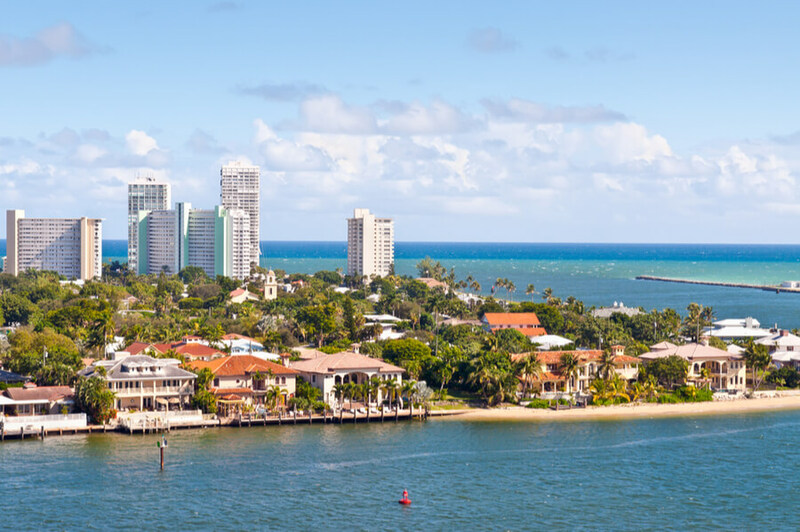 Stony Brook Counseling Center, located in Fort Lauderdale, Florida, is a treatment center that provides adequate care and outpatient counseling services to individuals suffering from mental health and substance abuse disorders, seeking outpatient treatment. The organization offers comprehensive, structured, and well-rounded services to people seeking substance abuse treatment as well as individuals seeking mental health counseling for anxiety and depression, marriage and family therapy, individual counseling, and many more. With over 20 years in the behavioral healthcare field, the treatment center is well skilled at offering a helping hand to individuals living within the Southern Florida area. Clients registered at the facility will benefit from the beautifully designed therapy offices, which were created to make clients feel comfortable, relaxed, and welcomed. The therapy offices are fully equipped with wall paintings, a fireplace, soft light, and many more to give off a calming vibe. The treatment rooms come fully equipped with overstuffed chairs and earth-toned sofas to help clients feel comfortable as well as, keeping defenses down while giving off a spa-like feeling. The staff team at the facility are all Masters-level therapists with experience and knowledge about treating a wide range of issues. Some of the therapists and counselors use cognitive behavioral therapy to treat issues such as trauma therapy, grief counseling, and even spiritual counseling. The facility treats a myriad of issues ranging from eating disorders, sexual identity issues, sexual trauma, anger management, parenting issues, and more in addition to substance abuse. A program called Recovery Road is a chemical dependency program offered to adults 18 years and older, suffering from substance abuse. It is an intensive outpatient program and is dedicated to the treatment of alcohol dependency, drug addiction, and co-occurring mood disorders. Although clients seeking a program rooted in 12-step might not find much here, but can benefit from the Alcoholics Anonymous and Narcotics Anonymous meetings, which are held to foster a support network within the sober community. The group therapy offered in the Recovery Road program takes place thrice weekly in the evenings and the schedule varies. As of right now, substance abuse education holds on Mondays, a family group on Wednesdays, and relapse prevention on Thursdays. These sessions last for about 3 hours and are conducted and facilitated by counselors and therapists at Stony Brook. Individual therapy schedule is flexible and is offered on a per client basis and this service is offered at an extra fee. Aftercare is offered to clients as a continuum of care after a six-week intensive outpatient program. Aftercare consists of weekly support groups and this lasts for about 90 days. Although the treatment approach is not rooted in 12-step for clients in the Recovery Road program, patients can participate in Alcoholics Anonymous and Narcotics Anonymous meetings. The facility offers intensive outpatient programs to individuals suffering from mental health and substance abuse issues. This program usually lasts for six weeks in the evenings and clients are able to share triggers and issues in a safe and comfortable environment. Stony Brook Counseling costs approximately $2,266 for a 30-day (six-week commitment) at the facility. Basically, the price is subject to change as it is greatly dependent on the type of treatment and care a client needs. The facility is in-network with a variety of insurance providers such as Multiplan, Medicare, Blue Cross Blue Shield, Coventry, Aetna, United Healthcare, Value Options, and many more. To obtain more information on admission, insurance verification, payment, and more, clients are advised to contact the facility. Family center for recovery specializes in the Intensive Outpatient Program (IOP) for mental health and substance use disorder in individuals. The facility also offers individual, couple and family counseling group therapy for situations like anxiety and depression. Basically, the facility offers concise, well-rounded, and effective programs to clients suffering from severe chemical dependency and mental health issues. Clients seeking a facility that offers Intensive outpatient program, and more while going the extra mile to provide effective treatment and counseling to patients, will find Stony Brook to be a good choice. The staffs include Doctors, pharmacy specialist, psychiatrists, psychologists, licensed therapists, nurses and more. Mr. Molinari obtained his Master’s degree at Barry University. For years Mr. Molinari has a peculiar interest in marital counseling, co-occurring disorders, spiritual counseling, and substance abuse. Ms. Monica Zarate obtained her degree at the University of Miami and a world of experience working in family treatment and treatment of children and teens. Her treatment approach is heavily rooted in evidence-based modalities. She is also involved in training clinicians nationally and internationally. Carol Gwaltney acquired her master’s degree at Barry University. She specializes in personality disorder, anxiety, chemical dependency, and relapse prevention. She is passionate and dedicated to helping individuals, couples, and family through counseling.